The Elder Nectarius was born in the city of Yelets in the Orel province, the son of Basil and Elena Tikhonov. He was given the name Nicholas at his baptism. The year of his birth is uncertain, variously given as 1853, 1857, or 1858. His father worked in a mill and died when Nicholas was seven years old. Nicholas was close to his mother, who raised him in a strict, but loving manner. She arranged for him to work in a shop of a merchant where by the age of seventeen he was the youngest steward. His mother also died while he was still young, leaving him an orphan. At the time Schema-Nun Theoctista, a spiritual daughter of St. Tikhon of Zadonsk lived in Yelets and was a popular advisor to the people of town. Anticipating a marriage of Nicholas to his daughter of one of his workers, the merchant advised Nicholas go to the nun for a blessing. This he did. But instead of marriage, the Schema-nun advised him to go to Optina Monastery to see Fr. Hilarion. Nicholas followed her advise and arrived at Optina in 1876 with only a copy of the Gospel in his knapsack. After meeting the superior of the skete, Fr. Hilarion, he was sent to the Elder Ambrose who saw Nicholas immediately and spoke with him for two hours. Following their conversation, Nicholas remained in the skete and never returned home. For the next twenty years he was the disciple of his spiritual father Anatolius (Zertsalov) although at times he sought the counsel of the Elder Ambrose. These elders led Nicholas along the strict path of monasticism. His first obedience was the care of the flowers. Later, he was appointed sacristan. Although his cell opened into the church, Nicholas spoke to no one except to the Elders Anatolius and Ambrose for twenty five years. His reading was not only of spiritual texts but also the world literature of Milton, Dante, Shakespeare, Pushkin, Tolstoy, and others as well as the world of science, mathematics, and art. In conversations he was able to relate all human knowledge to the spiritual world and the wonder of God's gift of creativity. In 1887, Nicholas received the mantia and the name Nectarius. In 1894, he was ordained a deacon and in 1898, he was ordained a hieromonk by Bp. Macarius of Kaluga. 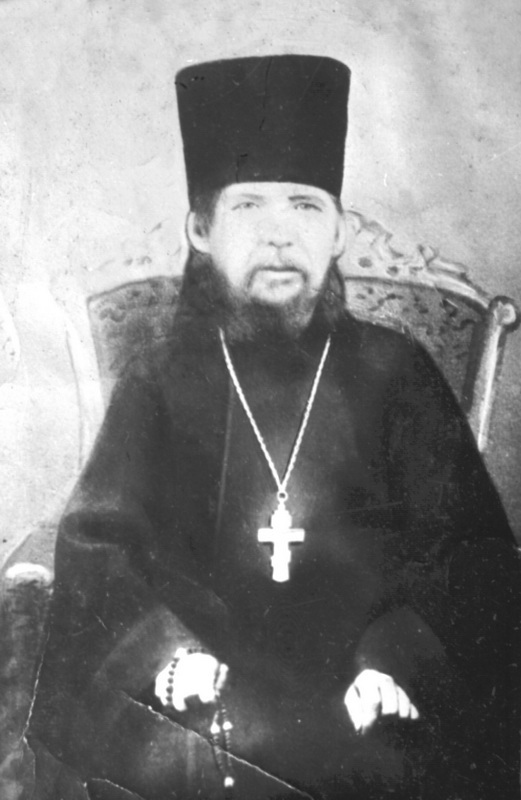 In 1913, when the Optina community met to elect a new leader, they chose for eldership the Archimandrite Agapit, who was retired. But, he refused and named his disciple Nectarius instead. When he refused the archimandrite directed him to accept the obedience, to which the reluctant Nectarius accepted. In 1917, as troubles enveloped Russia, Fr. Nectarius prophesied the coming of a hard time, noting that the Tsar had suffered humiliation for his mistakes, and that 1918 would be worst as His Majesty and his family would become martyrs. The Elder took a firm stand against the heresy of renovationism, forbidding his spiritual children from entering the churches seized by the "Living Church". Prior to Pascha in 1923, the Bolsheviks closed the Monastery at Optina. Sealing the churches, the Bolsheviks proceeded to desecrate the graves of the elders and turn the skete into a resort for the Soviet upper class. Fr. Nectarius was arrested and jailed in the prison hospital in Kozelsk. Released later from the prison, Fr. Nectarius moved into the home of a peasant in the village of Kholmischcha in the Bryansk region. While he managed to preserve a radiant peace during which many of his spiritual children visited him, his life was difficult and full of threats from the Soviet authorities including threats of deportation to Kamchatka. Fr. Nectarius reposed quietly on May 12, 1928 in Kholmischcha. He was buried, after having received the last rites by Fr. Adrian Rymarenko later Archbishop Andrew of Novo-Diveyevo, in the local village cemetery on May 16. On July 16, 1989, his relics were translated to Optina and placed in the Cathedral of the Entry of the Mother of God into the Temple.